Love chips and dip but want something lighter? 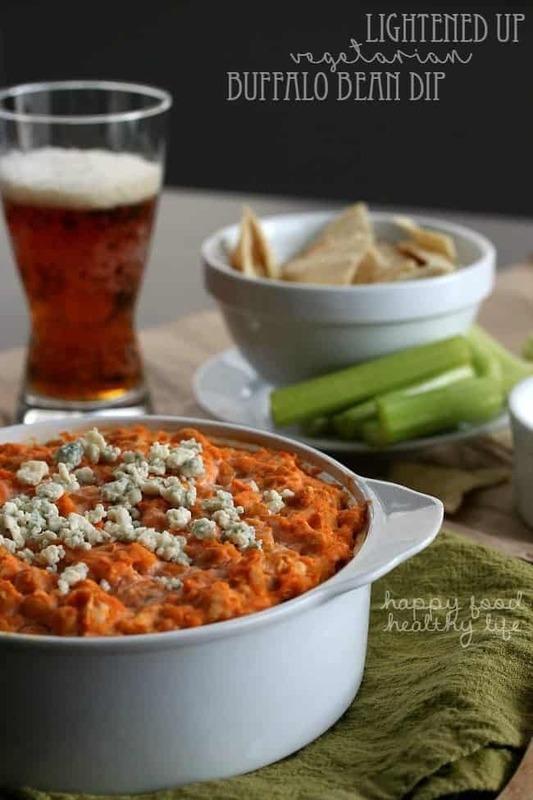 This super addicting Lightened Up Vegetarian Buffalo Bean Dip is the one for you! Anyone here a football fan? Anyone? Yeah, me neither. I watched one NFL game this season. I take that back. I watched a very small portion of a game before I got bored and started browsing Pinterest. But you know what I am a fan of? I bet you can guess. All the food. The dips. The drinks. The chips. The bite-sized yummies. Game food really is the best to me. Give me a plate of nachos, and I am good to go! The biggest problem is that game food really isn’t healthy food. And it’s not just that they’re unhealthy, but they’re so good that you end up eating so much. Before you know it, that dip has been demolished, and then you just feel like crap for the rest of the night and probably into the next day. Not this time, big game. I refuse to let a football game ruin my night with lots of guilt-filled food. 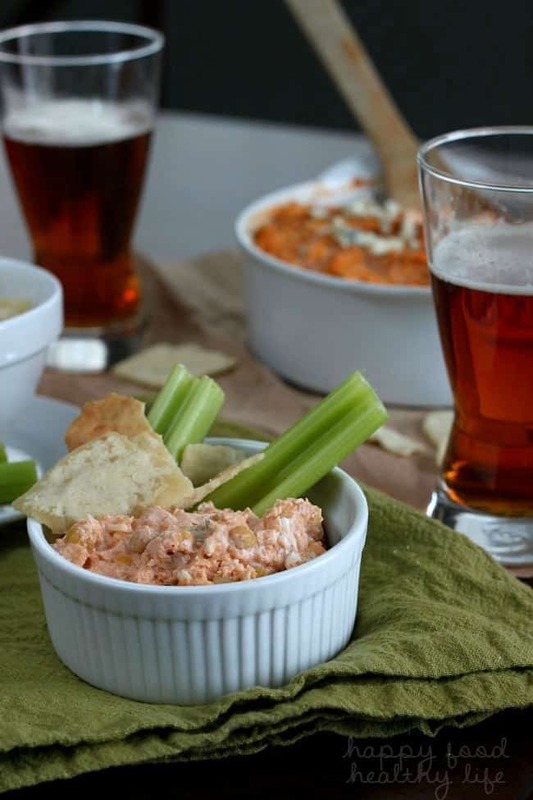 The thing is that I love spicy food, and I love appetizers, and I love that all the craze during football season is buffalo sauce. Buffalo wings. Buffalo chicken. Buffalo meatballs. All.The.Buffalo. But it’s always slathered on some sort of meat, and for this veggie girl, that just doesn’t work for me. I knew I wanted to go the buffalo route somehow for a football appetizer. I just had to figure out a way to make it veggie friendly. Just a cream-cheese-based dip for chips? Meh, too boring. It needed some sort of substance to pile high up on those chips. So I went where all vegetarians go first. Beans. They are the best meat-substitution there is. Full of protein and so versatile. And I found that if you mash chickpeas, they actually get the consistency of shredded chicken. Perfect! Best decision ever! The fact that I could enjoy a spicy buffalo dip as a vegetarian was the best feeling ever. And also doing it practically guilt free because of the addition of non-fat Greek yogurt and non-fat cream cheese! It’s a total win for everyone. Even the meat-lovers in your life. Hell, my wife loves meat like no other, but this dip.. yeah, we demolished it… twice! Once the garbanzo beans are drained and rinsed, place in a medium bowl. With the back of a fork, press the beans roughly until the majority of them are smashed. At this point they should kind of resemble the texture of shredded chicken. Add the remaining ingredients to the bowl and mix until combined well. Transfer mixture to a small greased baking dish and bake for about 30 minutes or until the top and edges start to brown. Serve immediately with pita chips or fresh veggies. Looking for more healthier appetizers? 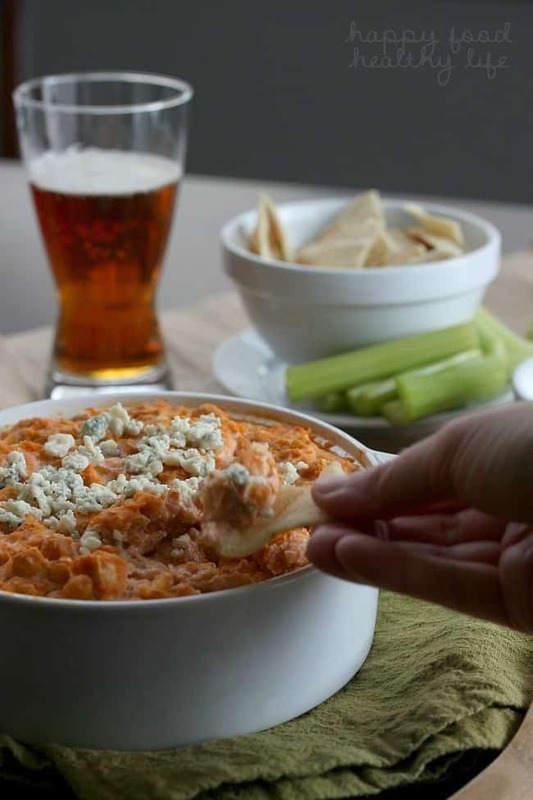 I made a cauliflower buffalo dip last year but I think I would like it better with beans! The mashed garbanzo beans actually give it a slightly shredded chicken texture, which opens up a ton of other ideas for other meat-free recipes! So much flavor with the beans. Your recipe sounds yummy. 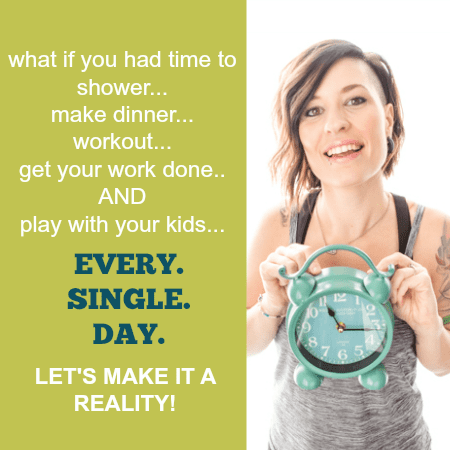 Pinned it to the Merry Monday party board. Thanks for sharing! I love Buffalo flavored anything! This looks amazing! Thanks for sharing at the Delicious Dishes Linky Party!